Your website is a portal to your business or brand. People (fairly or otherwise) judge the quality of your brand based on how your website looks, operates and feels. After putting tons of work into its development, we often become fond of its design, not realizing that it may not be perfect. As time passes, all websites become more and more obsolete. They lack newer features that have since become the norm, use outdated images and fonts, and incorporate a variety of other elements that show its age. 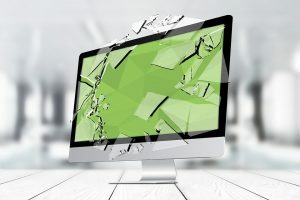 Whether your website is just old or poorly designed, here are some of the signs you should look for to know it’s time for a new website. For a couple of years now, most major search engines have been giving priority in search engines to websites that function properly on mobile devices. There is a good chance that if you are pinging search engines with pages that do not use mobile responsive design, you’re not ranking as well as you could. This dynamic is but the tip of the iceberg: search engines have made this change because users demand websites that function on their devices. Even if you are being seen by mobile users, there is a solid likelihood that many are immediately leaving your website because of poor formatting (look for high bounce rates). If this applies to you, then it may be time for a new website. Times change. Styles and preferences adapt, new ways of formatting and designing websites arise and most people adapt with the times. There are still websites out there that anybody can tell were obviously first designed in the 1990s. Do these websites inspire confidence in you? Probably not. Generally, the appearance of a website’s age subconsciously conveys to visitors the quality and/or frequency of the site’s updates. If your site looks old, then you are likely losing traffic just because many may instinctively think that your website is not being updated with new/relevant content regularly. By implementing a new design, you’ll be sure to reassure visitors of your site’s relevance. If your website takes ages to update or requires professional assistance, then it’s likely time for a new one. Even internet amateurs can easily update and maintain websites now thanks to solutions such as WordPress. In order to keep up with the times, produce content consistently and keep your audiences up-to-date, you need a website that can be easily configured, edited and updated. While not always true, sites that are difficult to update often also have difficulties with pinging search engines with fresh content; pages can be difficult to index and that is a big obstacle for brands wishing to increase exposure and be more visible in search. If the look, feel and/or functionality of your website seems out of date or difficult to use, then it is definitely time for an overhaul. Fortunately, building a new website from scratch isn’t nearly as difficult as it once was, so don’t fear. If you’re planning on building a new website, leave us a comment below telling us what you currently think is your biggest obstacle.